Step and Repeat adds a unique touch to your event that is certain to leave an impression. You guests will enjoy taking photos in front of Green Screen backdrop and we will impose the step and repeat image behind them. 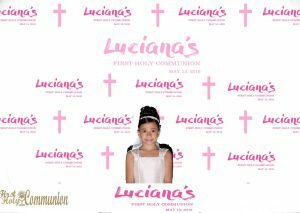 We will help you create your digital step and repeat backdrop that you and your guests will love. Your guests are guaranteed to have a memorable experience and their own photo favor as a souvenir. Step and Repeat Photo Booth is perfect for bar and bat mitzvah, birthday celebrations, sweet 16, quinceanera, confirmation, graduation parties, weddings and corporate events. The Green Screen step & repeat delivers a great décor to your party. Add Social Media Photo Upload for instant online sharing. If you are planning a wedding this year and are laying out things and events which you wish to keep at your wedding, adding step and repeat to the list is a good option. Wedding step and repeat, also known as a media wall or a backdrop. This concept uses graphics or logos in order to create an organized pattern. One or more photograph or a logo is symmetrically repeated in order to create offset lines which in turn create a step and repeat pattern. A step and repeat is commonly used by couples who are planning a theme wedding for themselves. Your Step and Repeat can be crafted to include your name or names, event date, theme, logo or monogram or branding.